On this episode of ‘Homeless in San Diego: Real People, Real Stories,’ host Greg Anglea, CEO of Interfaith Community Services, is joined by Public Defender Terri Peters from the County of San Diego. Greg and Terri also welcome Tom Christie, Homeless Court Advocate with Interfaith Community Services, to discuss the Homeless Court Program and how it works with our local homeless population to dismiss fines in order to get their drivers licenses restored, garnishes lifted, and provide them access to a variety of other benefits. Terri and Tom then share the stories of some of their clients they have worked with on getting cases dismissed, as well as list the many ways the public can get involved with the Homeless Court Program. If you are homeless and need assistance in getting your fines cleared, please access the Homeless Court Program! You can learn more by clicking here, or by visiting Interfaith Community Services on Mondays, Tuesdays, or Thursdays to meet with Tom and our Homeless Court volunteers. 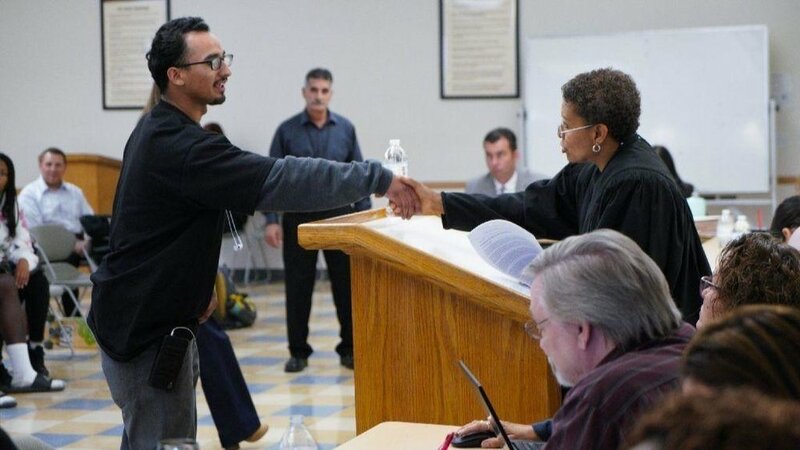 If you are a nonprofit organization and are interested in becoming a Homeless Court Service Provider, please click here. If you would like to volunteer with the Homeless Court program, please click here. Opportunities with Homeless Court are under the “Individual Opportunities” tab. You can also email Tom if you would like to volunteer for the North County Stand Down event on February 7th - 10th, 2019 in Vista. Support law enforcement teams like the Homeless Outreach Team (HOT) in Oceanside who are embedding social workers and social services into their practices. To learn more about Oceanside HOT, please click here or listen to our earlier episode with Office Josh Ferry of the Oceanside Police Department.